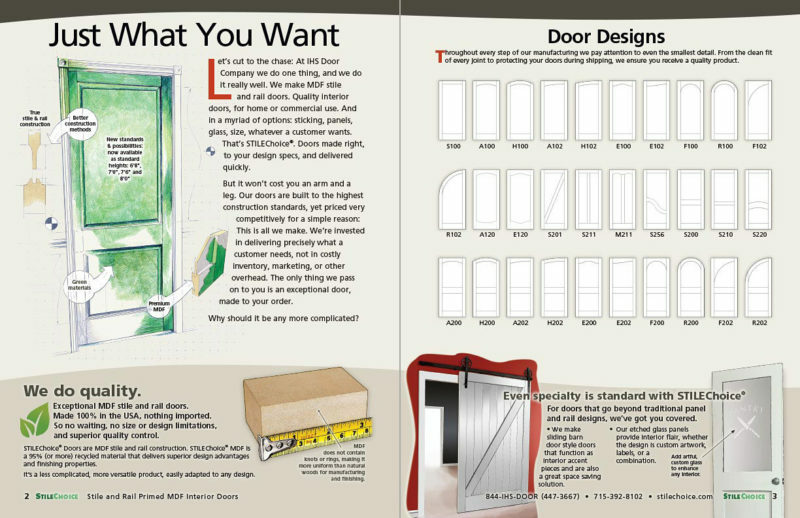 Elsewhere on this site, there’s a techy, odd illustration of door parts: this is where they ended up, in a brochure for STILEChoice Doors. The greenish illustration on the left shows a typical door with the frame and two panels. The “profile” illustration on the right shows all the varieties these parts come in.